Backstory: Born in Scotland in 1966, Gordon Ramsay left behind an early athletic career to become a renowned chef in London. 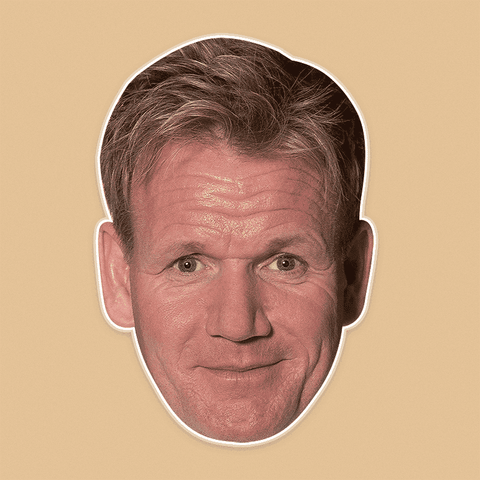 By the early 2000s he was making his mark on British TV as the temperamental host of Ramsay's Kitchen Nightmares and Hell’s Kitchen, shows that made a successful transition to American audiences. 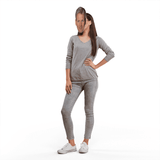 The award-winning chef has since expanded his celebrity brand via such programs as MasterChef and Hotel Hell and opening more restaurants around the globe. As a reality television personality, Ramsay is known for his fiery temper, strict demeanour, and use of expletives. He often makes blunt and controversial comments, including insults and wisecracks about contestants and their cooking abilities. He combines activities in the television, film, hospitality, and food industries and has promoted and hired various chefs who have apprenticed under his wing. 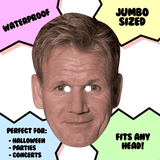 🤩DON’T JUST WEAR THE CELEBRITY, BECOME THE CELEBRITY - This Gordon Ramsay mask is perfect for cooking events or halloween parties!